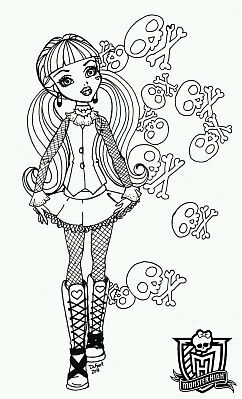 The group Monster High, is one of the favorite ones, it is formed by the most famous monsters' teenagers sons and daughters. 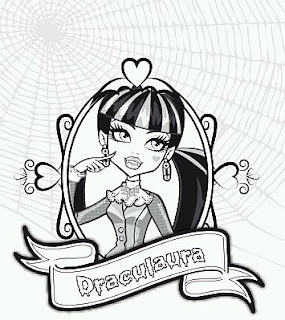 In this group, one of the most importants girl es Draculaura, she is Dracula's daughter, if you were looking for drawings to color, below you can find a good selection. 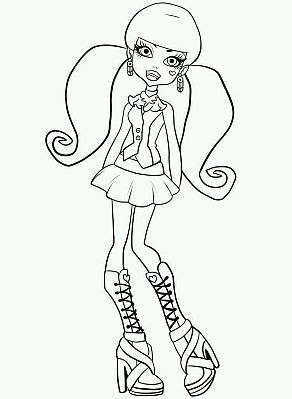 Monster High Draculaura with pony tales. 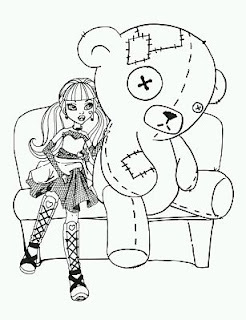 Draculaura with a big bear. Draculaura with a special hairstyle. 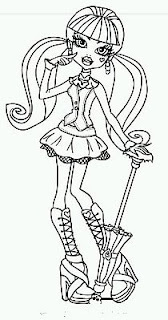 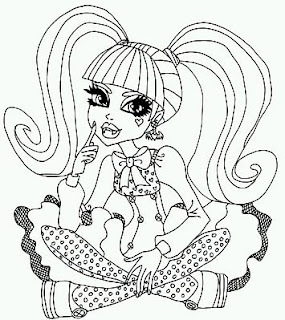 I hope you have enjoyed this Monster High's drawings.